Ronaldo Valdez, Aga Muhlach, Dingdong Dantes et al. Filipino comedy drama in which lonely widower Manuel Bonifacio (Ronaldo Valdez) rarely sees his children, now grown up and with busy lives of their own. When Manuel is diagnosed with cancer and has around seven weeks to live, he calls each of his four children to tell them of the sad news. 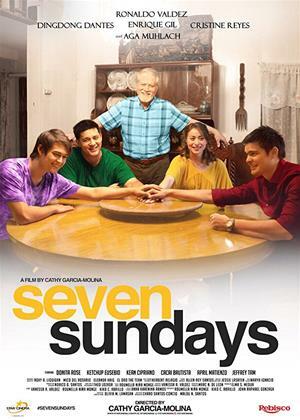 The Bonifacio children decided to reunite and spend what remains of their father's life together with him, with the aim to see him live through another seven Sundays.